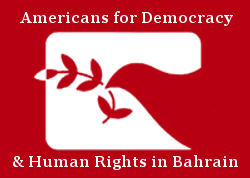 6 December 2018 – Today, Americans for Democracy & Human Rights in Bahrain (ADHRB) sent a letter to Sheikh Salman bin Ibrahim Al Khalifa calling on him to support and endorse FIFA’s call to allow footballer Hakeem AlAraibi, currently detained in Thailand, to return to Australia rather than have him deported to Bahrain, where he potentially faces torture and abuse. Read the letter below or click here for a PDF. Hakeem AlAraibi, a former soccer player for Bahrain’s national team, is currently detained in Thailand facing extradition to Bahrain, where he will likely be subjected to imprisonment and torture. Hakeem has been critical of you in the past, and believes you failed to stand up for him. In 2012, Hakeem was arrested for allegedly vandalizing a police station, despite playing in a televised football match at the time of the incident. According to Hakeem, Bahrain’s soccer association, led by you at the time, did not engage with requests from his sister and lawyers to confirm his alibi and exonerate him. Because of this, Hakeem remained in jail for three months and was later sentenced to 10 years in prison. Your lawyers claimed that you did not personally receive a request for help from Mr. AlAraibi. FIFA has been made aware of Hakeem’s current situation and has written to the Australian Football Association requesting that they take the matter up with their government, as a matter of urgency. In a statement, FIFA also declared, “FIFA supports the calls for the Thai authorities to allow Mr. al-Araibi to return to Australia where he currently enjoys refugee status at the earliest possible moment.” FIFA maintains they are committed to the respect of internationally recognized human rights, in particular, as these rights relate to the safety and wellbeing of all individuals involved in football. As Vice President of FIFA, do you support and endorse FIFA’s call to allow Hakeem to return home to Australia rather than have him sent to Bahrain where he will most certainly be tortured? Will you, Sheikh Salman, publicly call for Hakeem’s safe return to Australia? If you fail to stand up at this crucial time we will take your silence as your agreement that the Thai authorities should extradite Hakeem back to Bahrain where his safety will be seriously at risk.